I'll admit it. I'm one of those people who was still using a behavior chart in my classroom when school ended in June. I even talked with my teammate about how much I hated it before we started the year last year. She agreed. But when we put our heads together, we still couldn't come up with an alternative. Why do I want to go away from the behavior chart? Rather than explain this and not do it well, I will point you in the direction of my friend Nikki from Teaching in Progress. Her post Why I Will Never Use a Behavior Chart Again really opened my eyes to the negative impact a behavior chart can have on our students. Her post is not new, so I even felt guilty last year that I was implementing it again, but in fifth grade I needed some way to track student behavior and hold students responsible for their actions, so I had trouble figuring out what could replace it and also avoid having a negative impact on my students. 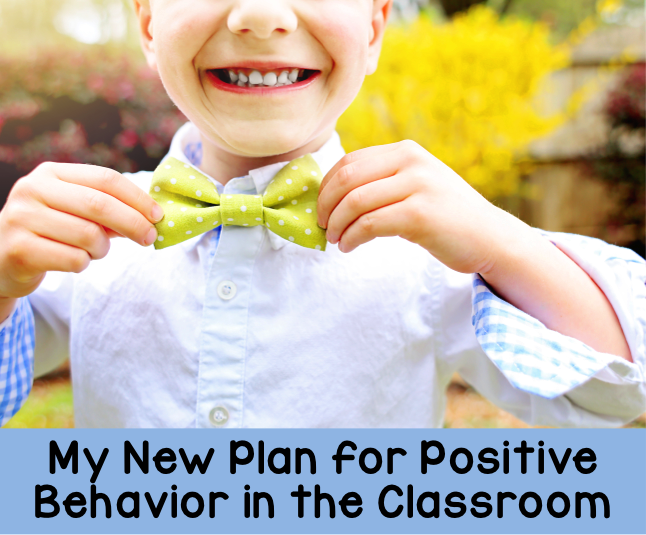 So this summer seemed like the right time to come up with a new plan for positive behavior in my classroom. To be honest, I've actually never really had bad behavior. I've had some normal, chatty fifth graders, but I am very clear with my expectations and this results in very little behavior problems. In fact, at one point last year, I jokingly laughed that the behavior chart had become more of a decoration in my room than anything else. I first had to consider what it was that I wanted to get from my behavior chart and then decide what it could be replaced with that would give me the results I was looking for. It came down to the need to track behavior and provide students with an incentive for making great choices in their daily behavior. 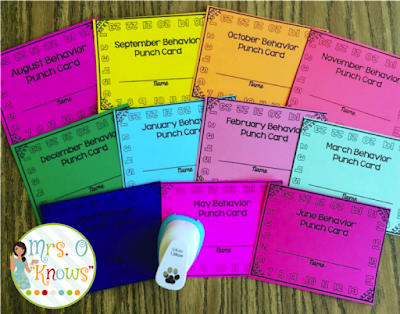 I remembered using punch cards many years ago with younger students and started to consider how I might use these instead of the behavior chart. 1. They are not posted on the wall so students do not have to worry about being embarrassed in front of all of their friends. I bought pencil boxes for each of my students, which is where they will keep their monthly card. At the end of each day, they simply leave their pencil boxes on top of their desks and after dismissal, I go around and punch the cards of all students who made positive choices in their behavior, including the ones who maybe had a rough start to their day, but turned it around. No one knows how many punches each student has unless the student chooses to share that number with their classmates. If you are concerned about whether you might remember who you spoke to and who you didn't, avoid writing it on the board. Instead, get a small notebook to discretely record student names in during a down time like lunch or prep time. Then you can return to the notebook at the end of the day, add names, and cross off the names of any students who turned their day around. 2. I can see which students are struggling with behavior quickly and easily. If Henry doesn't get any punches for the entire week, then it's time for me to give his parents a call to discuss this. I can keep track of and stay ahead of these students to work with them, as well as their parents, to find ways to fix the problem now, rather than later. I suggest holding on to the cards in student folders from month to month as they will be helpful if you end up needing to bring data to an IEP meeting or child study. Click on the picture above to see these in my store. I found the adorable paw print puncher in the scrapbooking section of Michael's! At the beginning of each month, we identify how many school days we have. I give students the cards I've created, each of which has 23 days, and have them cross off any extra days if the month we are on has less than 23 days, which will happen. When we have figured out how many days they are responsible for, each child sets a realistic goal for their behavior. If Devon has a rough home life and occasionally has a rough day or two, he might be realistic and say that his goal is to get a hole punch on 18 out of 20 days. I urge students to have high, but realistic expectations for their behavior, as I have high, but realistic expectations for their behavior, too. ---->After I wrote this post and started my year, I came up with another brilliant idea for those months that don't have 23 school days. Instead of crossing off the extra days, do double punch days! Think about those tough days (Fridays, assembly days, days right before holidays) and tell your students that morning that if their behavior is fantastic, they'll get two punches that day! Again, I understand that some students might have a rough morning and turn their day around in the afternoon. As long as they ended on a positive note, and did not get sent out of the room to the office, I will still give them a punch on their card, but they have to really turn their day around. I make this clear to my students from the start. So, of course, your natural response is...So what? Why do your students care about these punch cards? How do you get them to "buy in" to wanting that punch on their card each day? In my classroom, students earn tickets for behavior, as well other actions throughout their day. These tickets can earn them classroom coupons, which they love. At the end of the month, students get one ticket for each hole punch they received and if they have a full card, they get 10 extra tickets. This way, everyone is being rewarded and no one is getting anything different from the other, aside from the number of tickets, of course. In my eyes, it's a win, win! I'm looking forward to trying the punch cards with my new group that starts on Thursday. I'm thinking they are going to love it! 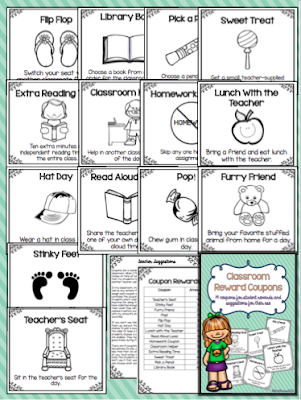 Here's the classroom reward coupons that I use with my class. Click the picture to view them in my TpT store! Behavior management can be one of the hardest parts of teaching, but when you set clear expectations and you don't lower those expectations, you'll set yourself up for success year after year! It's all about student buy-in and part of that buy-in comes from knowing that their will be positive consequences for their positive behavior. Until next time, enjoy every second of the summer that you have remaining. My first day is in just five days!! Where did summer go?